Speed Flow (noun): It has been said that speed flow is freestyle Frisbee without a nail delay or an air brush. In other words, it is the game of trick throws and catches with a flying disc. 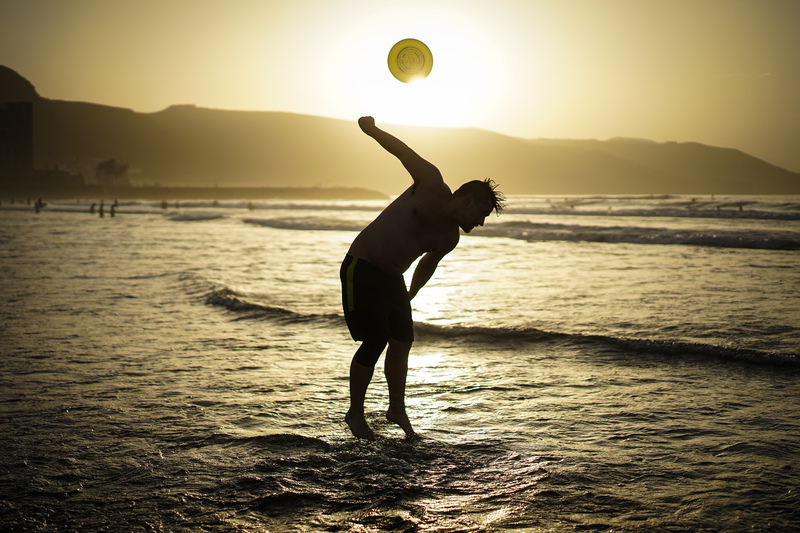 From this perspective, many flying disc practitioners are unknowingly playing freestyle Frisbee on a regular basis. Speed flow is truly the origin of modern freestyle; it is much more than fancy throws and trick catches. The idea that nail delay and air brush tricks may be strung together in a seamless series of body movements emerged from the concept of speed flow. Speed flow is the art of transitioning from a catch to the next throw in one, quick and fluid motion. This takes two otherwise distinct actions and blends them into one skillful maneuver. Rerev (verb): The act of air brushing a disc with the sole intention of adding spin. As a disc’s spin begins to slow down it ultimately must be caught or it will no longer be able stay in flight. To extend a series of tricks, one option players have is to rerev the disc. To rerev, a player will brush the disc, repeatedly, adding spin with each brush until the disc is spinning as if it were just thrown. This skill can be useful during a competition where a mistake has caused the spin of the disc to slow earlier than intended. A rerev can extend the combination to make it to the next choreography queue. While some players feel that a rerev is a break in flow and thus try to keep it out of their games as much as possible; other player seamlessly integrate rereving as a part of their style. Jamily (noun): A term to describe the phenomenon that occurs when someone begins to play freestyle Frisbee. 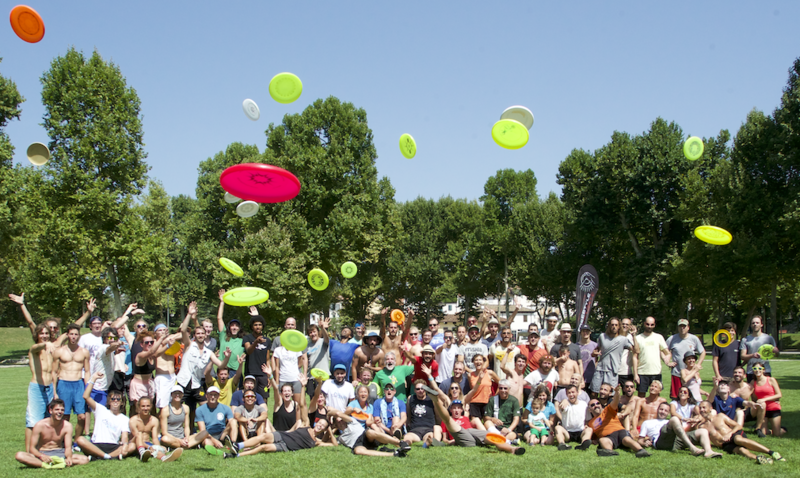 They are immediately welcomed into the great network of people who share a love for the flying disc. This network is known as the Jamily. People in the Jamily are open, playful, and supportive. If a jammer travels to a new town, jammers in that town will welcome the new arrival into the jam, to join their dinner table, and into their homes. Even if two jammers do not speak the same language, they can communicate for hours together through the artistic expression of the disc. 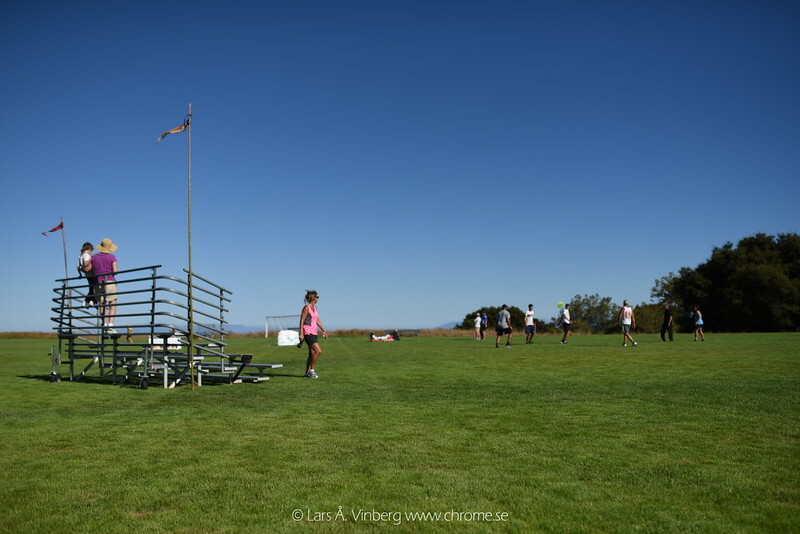 Yes, freestyle Frisbee is a network of like-minded souls that creates friendships that last for a lifetime. Jamily is a combination of the word jam and family. Zzzs is the spin of the disc. The faster the disc is spinning, the more Zzzs it has. A disc that is hardly spinning at all may be referred to as having “one Z” or “half-a-Z”. It comes from the sound that the original Sky-Stylers Super-Pro (thanks, Rick) made when they were delayed upside down. 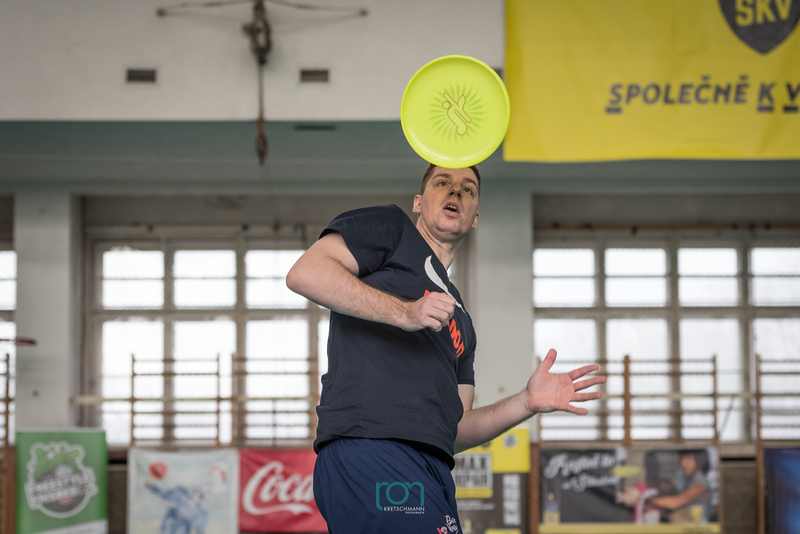 The spin of the disc is highly important in Freestyle Frisbee for several reasons. First, the faster the disc is spinning, the easier it is to nail delay. Also, the more Zzzs a disc is thrown with, the more tricks that can be done until it runs out of Zzzs. Finally, the direction of the spin is important as each trick must be mastered twice, once for each spin direction; clock and counter. A term to describe an area in the jam that is a player’s specific space. When players are more stationary, as when jamming in a circle, a lane is a circle around each player. 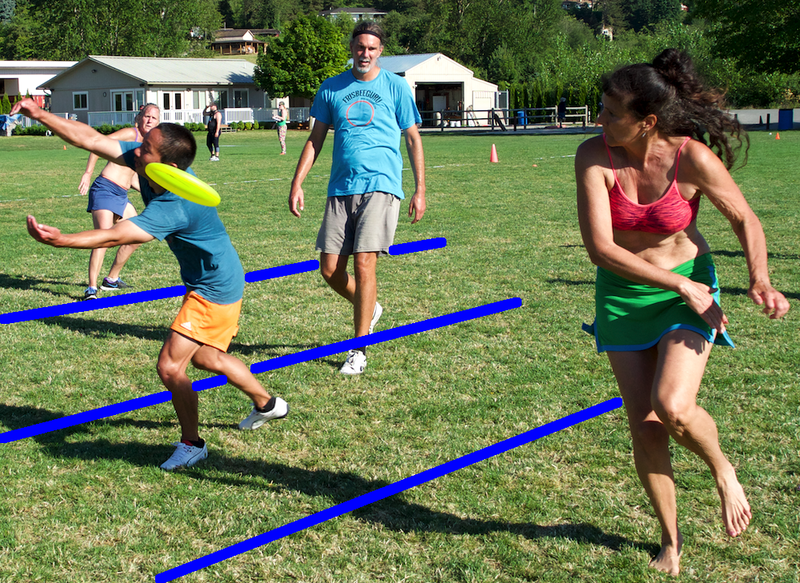 As players begin to move together as a team, as when jamming in a line, the lane extends forward of direction of movement. Where the is no wind, as when jamming in doors, lanes move freely about as the direction of play moves. When there is wind, lanes almost always move into the wind because players will tend to face the wind as they play. Reading lanes is as much about reading the nose of the disc as it is about reading a players intentions. For example if a player is not intending to move then it could be argued that their lane no longer extends up wind. Likewise, if a player intends to chase the disc no matter where it goes, it could be argued that their lane is the whole field when they have the disc. With that said, it is generally accepted that one’s lane extends in a straight line, into the wind, similar to the way a swimming lane extends in a swimming pool. When all players work under this assumption, it is much easier for the group to perform spontaneous cooperative tricks. Read more about lanes here. A term to describe the perfect placement of a disc for a given trick. Used most often for tricks that have smaller windows. Example: I can’t believe I dropped that gitis, your drag set was right in the pocket. The act of taking a disc that is intended for another player. Most often this happens in a mob-op during a pass. As the disc travels across a jam to it’s intended target another player steps in front and makes a play on the disc. Often the intended target player will not have time to react and will make the form of a catch, though the disc is no longer coming. Also, the person poaching will often cause a drop or break in flow because they had to move out of position to get the disc. Basic lane awareness can help reduce poaching. Note that if a player attempts a hoop but accidentally touches the disc, causing a drop, this is not considered poaching. Rather, a failed hoop or leg over is called Defense, or “nice D”. Example: Hey, you poached my lane. I had a gitis lined up. To accidentally bend a flying disc in half, creating the shape of a taco shell. This usually happens during a drop. The player attempts a leaping under the leg catch but misses. 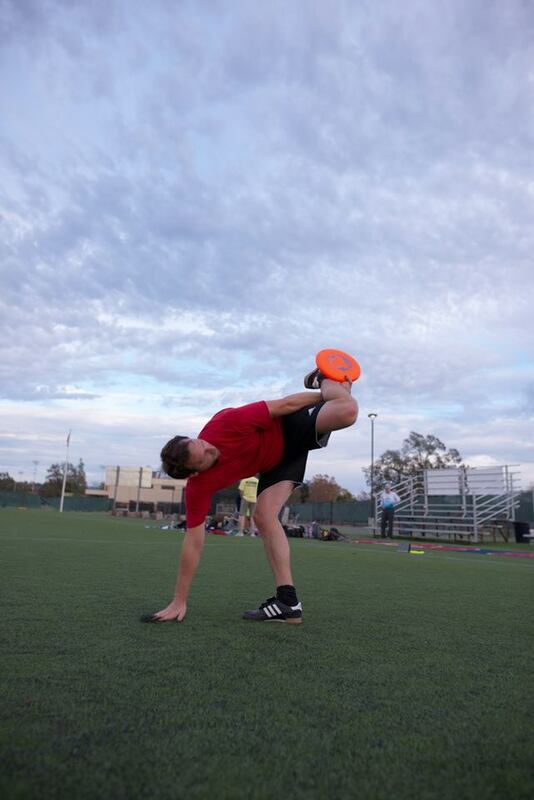 As the disc hits the ground the player’s extended leg comes down on top of the disc and forcefully bends it in half. 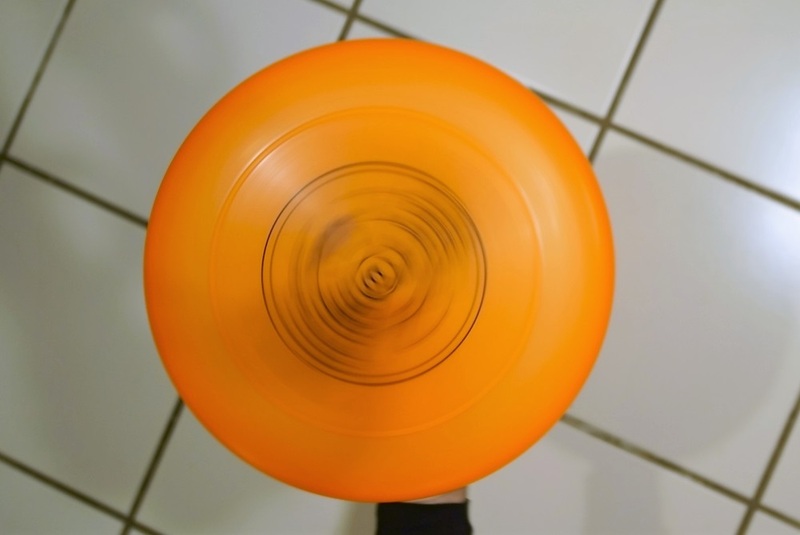 To taco a disc is especially disheartening because the disc will probably have a wobble from then on. Example: Oh no, you just tacoed our competition disc! A drop is anytime the disc unintentionally lands on the ground. That definition seems obvious but the drop has a deeper importance. 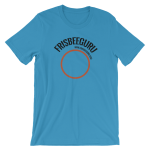 Freestyle Frisbee is all about mastery of the flying disc. Players try to push themselves and the disc to the limits of what is physically possible, always looking for a new trick. There is a certain high that comes from seemingly defying gravity and doing the impossible through one’s own will. A drop is a cruel reminder that the control we all seek might just be an illusion. Example: That drop was caused by a sudden gust of gravity.